Stefania was so helpful, friendly and kind. She helped us out with sorting medical issues and getting to the doctor and many other things. Stephanie was always pleasant, available and helpful. Sheets and towels changed more than we expected. Local buses not that frequent but taxis cheap and a hire car useful. Very picturesque location opposite small harbour. Shingle/sandy beach a short drive away, although access to the sea just across the road. Liked sitting on balcony. Clean and modern, Excellent and helpful host - even drove us to a doctor. Great views. Daily cleaning service included. The apartment was very clean and well maintained. We had everything we needed. Stefania is a great host, attentive to her guests needs. The studio was very comfortable and cozy as well as very clean. The host, Stefanie, is very communicative and helpful. The garden is beautiful and each room has a little terrace where we loved to eat or meals. The beds are comfortable, the sheets and towels new. The kitchen has everything you might need. Everything was very nice. Stefanie takes care of all the little things to make her guests feel comfortable! Lock in a great price for Stefanie Studios – rated 9.3 by recent guests! 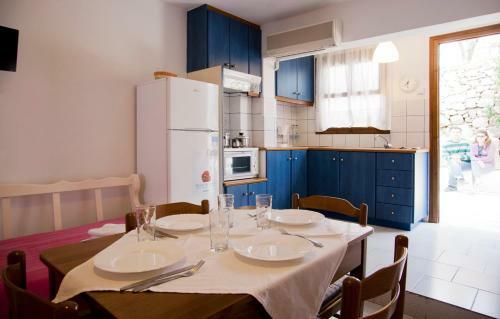 Located in the small Vrohia village, Stefanie offers studios with kitchenette, only 50 feet away from the beach. In 3.3 feet, guests can find bars, restaurants and a mini market. 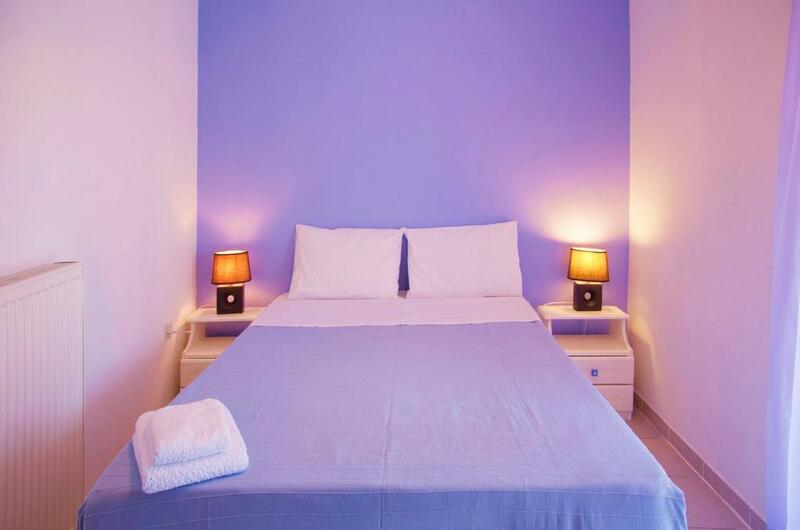 The air-conditioned Stefanie Studios come with a fully equipped kitchenette for preparing meals, a TV and a private bathroom with shower. Some units also include a living area with 2 built-in beds. 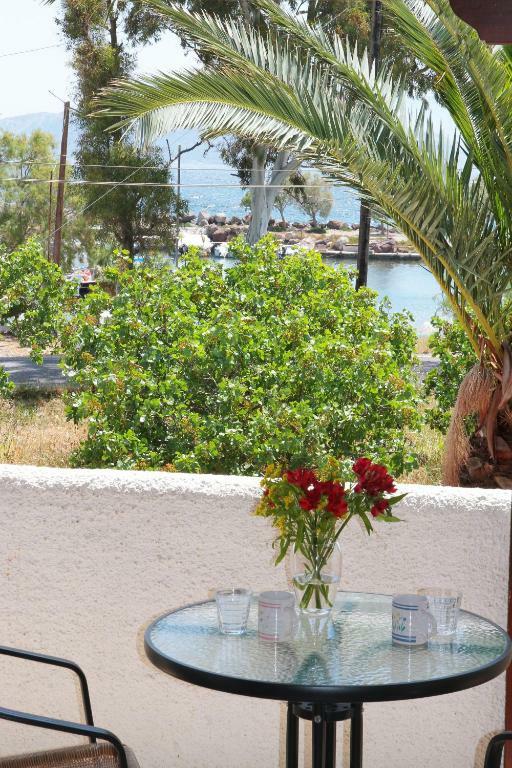 All studios and apartments open out to a balcony or patio with views to the garden or the Aegean Sea. 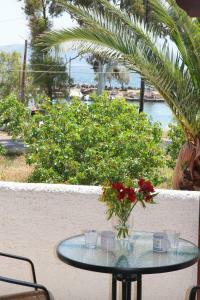 The main town and the port of Aegina are a 5-minute drive away. Stefanie staff can make arrangements for car rentals, while free private parking is available on site. When would you like to stay at Stefanie Studios? 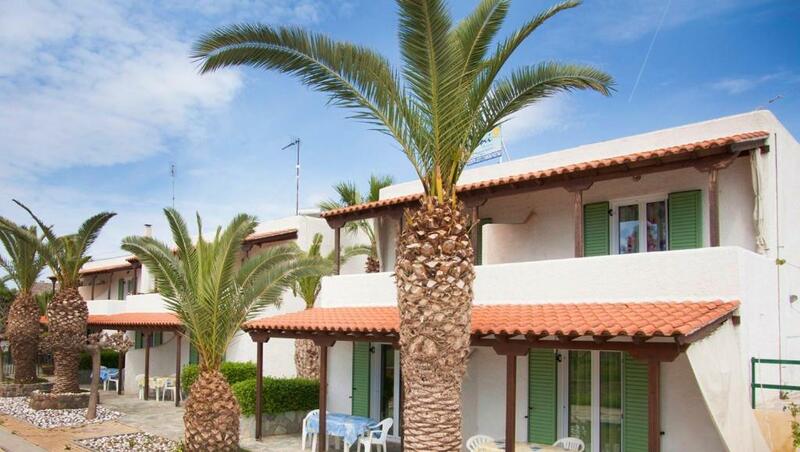 Individually decorated studios with shaded balcony and a fully equipped kitchenette for preparing meals. 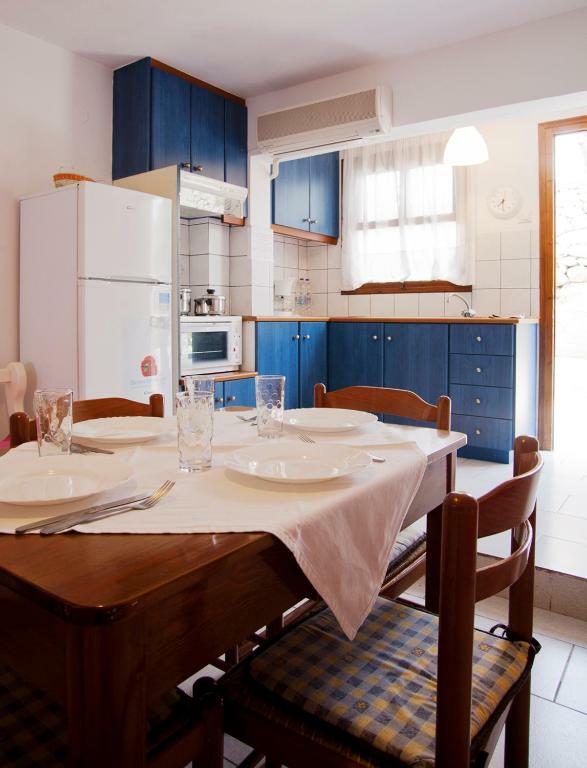 This apartment features a separate bedroom, a seating area with built-in beds and a fully equipped kitchenette for preparing meals. It opens to a balcony or patio overlooking the garden or the Aegean Sea. This apartment features a kitchen, oven and kitchenware. Το Stefanie studios είναι φτιαγμένο με πολύ αγάπη και φροντίδα ! Είναι επί της παραλιακής οδού σε απόλυτη ευθεία με την πόλη και το λιμάνι της Αίγινας, ανακαινίστηκε το 2008 για να εξυπηρετεί τις ανάγκες μικρών ή μεγαλυτέρων οικογενειών με γνώμονα πάντα την ασφάλεια και την άνεση! The Stefanie studios is made with love and care! 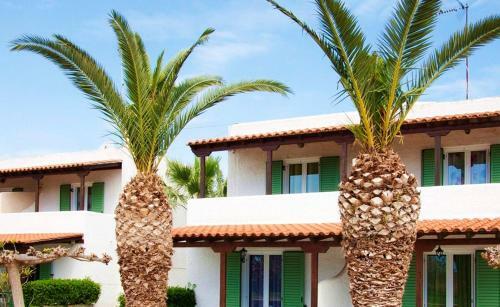 It is on the coastal road in perfect line with the city and the port of Aegina, renovated in 2008 to serve the needs of small or larger families always with safety and comfort! Ασχολούμαι πολύ με την διακόσμηση και την καλή εικόνα των δωματίων του καταλύματος και χαίρομαι αν αυτό αρέσει και στους φιλοξενούμενους μου! I deal a lot with the decoration and the good image of the rooms of accommodation and I am glad if my guests like it to! Η γειτονία μας είναι 5' από το κέντρο του νησιού δίπλα στην θάλασσα ακριβώς μπροστά από το Stefanie studios βρίσκετε ένα γραφικό λιμανάκι γεμάτο μικρές ψαρόβαρκες. 5 'from the center of the island near the sea just in front of Stefanie studios you find a picturesque harbor full of small fishing boats. It's quiet neighborhood and very safe for walking with nearby sandy beaches and clear sea !!! House Rules Stefanie Studios takes special requests – add in the next step! Stefanie Studios accepts these cards and reserves the right to temporarily hold an amount prior to arrival. Kindly note that a washing machine can be used upon charge. Kindly note that change of towels is available every 2 days and change of bed linen is provided every 3 days. Please note that heating is not available during November. Please inform Stefanie Studios of your expected arrival time in advance. You can use the Special Requests box when booking, or contact the property directly using the contact details in your confirmation. Cash payment if you stay 2 nights. A bit out of the way but not really an issue for us as we hired a car. Low Wi-fi if you are here for leisure, it is not a big deal. Myself and my partner just recently stayed in Stefanie Studies. We were greeted with such warmth and friendship from Stefanie the owner. She kindly offered to bring us to the mini market to get some supplies and showed us the nearest beaches and restaurants. She arranged quad hire for us and gave us many recommendations for activities, eateries and beaches. The apartment was big and spacious. We had a studio with kitchenette, oven, hob, electric kettle. We had a very comfortable double bed with fresh clean crisp sheets. There was a sofa, a cupboard and a television. We had a good functioning toilet and shower with instant hot water. The rooms were cleaned daily and rubbish emptied. It was spotless. 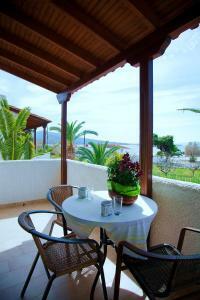 There was a big spacious balcony with a table and chairs and a beautiful view of the sea. Across the road there is a beach but nowhere to sunbathe but the water is gorgeous to swim in. It is a bit out of town but only 5-7mins in a taxi which are plentiful and only cost €6. It is a beautiful peaceful location. We really enjoyed our stay and would return. Clean, host is very helpful.